Back pain is a very common complaint among pregnant women. In fact, close to 80 percent of pregnant women suffer from it. For some women, symptoms may begin before they are actually showing and continue throughout the pregnancy. For others, discomfort may not be felt until the pregnancy advances and the uterus expands. 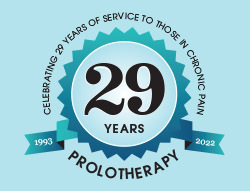 For women looking into treating back pain during pregnancy with Prolotherapy, we are happy to help you. How does back pain during pregnancy develop? The ligaments between the pelvic bones begin to soften and joints to loosen during pregnancy in preparation for the baby’s passage through the pelvis. These changes result in mobility of the joints in the pelvis, joints which haven’t moved very much since about the age of three. This movement in the joints can cause considerable discomfort on either side of the lower back, often with walking, and especially when going up and down stairs. During the second trimester, the uterus becomes heavier and changes the woman’s center of gravity. Gradually — and perhaps without being aware of it — women begin to adjust their posture and the way in which they move. These compensations can result in back pain, strain or other injury. The separation of the muscles along the front of the abdomen during pregnancy may also contribute to back pain during pregnancy. These two parallel sheets of muscles run from the rib cage to the pubic bone. As the uterus expands, they sometimes separate along the center seam, which can make the back pain worse. 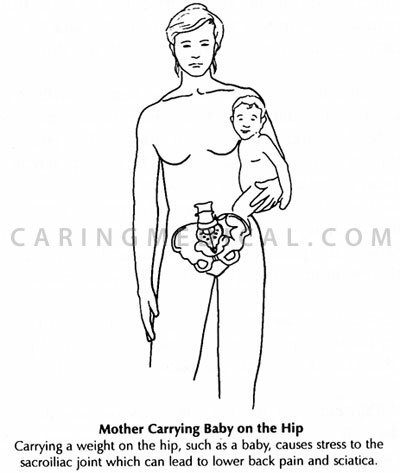 Mild low back pain during pregnancy is usually treated with adjustments in habits and patterns, such as changing one’s sleeping position, carrying and lifting objects carefully and correctly and, with a doctor’s guidance, continuing any exercise program, and possibly adding abdominal and back-strengthening exercises. However, while this may relieve some of the discomfort, chronic low back pain is not so easily addressed. In most cases, medication is not a treatment option for chronic low back pain during or after pregnancy. 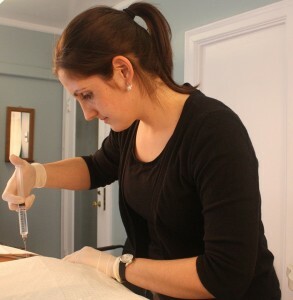 Supportive garments may be recommended, as well as spot treatments such as heat and cold. 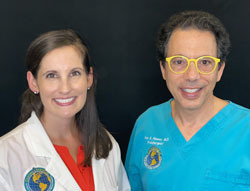 If the pain persists or the woman develops any radiating pain, numbness, tingling or weakness in the legs, she might be referred to a spine physician with expertise in women’s health issues and/or pregnancy related disorders. The problem with these approaches to chronic back pain during and after pregnancy is that they do nothing to address the underlying problem – the naturally weakened and softened ligaments of the sacroiliac joints. In our experience, a great approach to relieving chronic low back pain that may occur during or linger after pregnancy, if all other conservative treatments have proven unsuccessful, is to strengthen the ligaments of the sacroiliac joints with Prolotherapy. 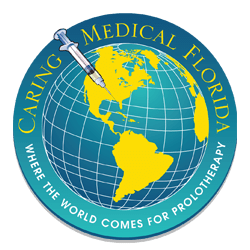 Comprehensive Prolotherapy strengthens the joints to relieve the pain, but does not interfere with the birthing process. It is the treatment of choice for chronic low back pain during pregnancy and can make it much more bearable. In addition, we want to emphasize that it normally takes many months for the sacroiliac joints to regain their normal strength after a pregnancy. Because carrying a baby on the hips places undue stress on this area during this time, we strongly discourage this practice. 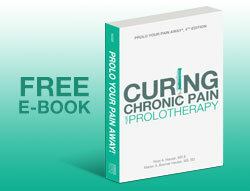 Prolotherapy offers the most curative results in treating chronic back pain. It effectively eliminates pain because it attacks the source: the fibro-osseous junction, an area rich in sensory nerves. When this tissue is strengthened, long term pain relief can be achieved. In our experience, this makes a new mom much happier to be able to take care of her child without disabling back pain.